Today on History Undressed, I am pleased to introduce you to our newest guest author, Lucinda Brant. Ms. Brant writes riveting Georgian historical romance and Georgian historical mysteries. Her article today is on the fascinating topic of real tennis. The characters in my novels may be fictional, but as an historian I want the setting to be as accurate as possible — places, clothes, food, people, politics and even the weather! All my novels are set between 1740 and 1780s in England and France — stopping short of the French Revolution. 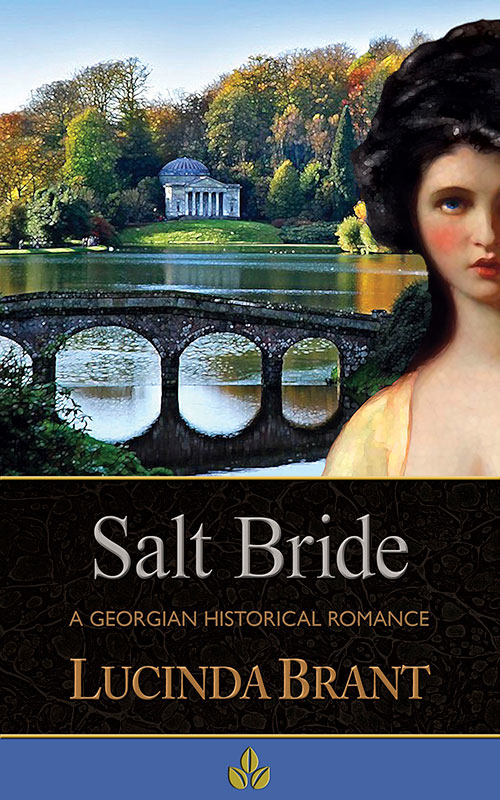 SALT BRIDE: a Georgian historical romance, takes place in 1763. 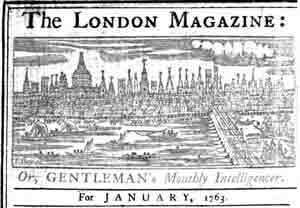 So what was the weather like in January 1763? And what has that got to do with tennis, you wonder? And what is REAL tennis anyway? First, let’s talk about the weather, everyone does! So with January a bitterly cold month with intense frosts, rivers freezing and generally miserable, what, I wondered, would a gentleman of means do to keep fit if unable to engage in outdoor pursuits? All gentlemen, and those aspiring to be one, would naturally know how to fence, and while taking up a foil would no doubt afford some exercise, I wanted a sport that allowed for spectators, particularly women, and which was not only very competitive but was played indoors in luxurious surroundings. 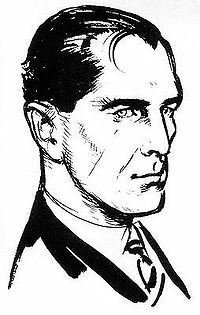 The hero of SALT BRIDE, the Earl of Salt Hendon has brains and brawn, and, naturally, he is very wealthy. 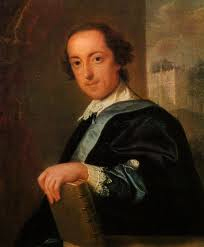 He is a parliamentarian but he is also the 18th century equivalent of a “jock” – he loves and excels at sports. After a long day of parliamentary sittings and meetings he needs to let off steam (and not just in the bedroom!). In the freakishly cold weather of January 1763, horse riding would be out, as would boxing, and fencing out of doors. That’s when I hit upon the idea that Salt, as a nobleman and sportsman of unlimited means, would have his own Royal Tennis court built at the back of his mansion in Grosvenor Square. 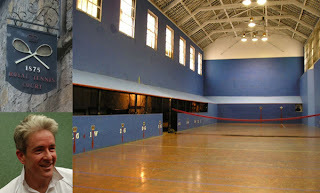 Royal, or Real Tennis as it is known today, is played on an indoor court and predates lawn tennis by at least 500 years. Real Tennis evolved, over three centuries, from a hand ball game played around the 12th century in France called jeu de paume (game of the palm). It is the original indoor racquet game from which lawn tennis and squash are derived. It was described as the ‘sport of kings’ (long before horse racing ever was) as it was the province of nobleman and kings. The most famous court still in use is the Royal Tennis Court at Hampton Court Palace built by Henry VIII who was a keen player. Anne Boleyn was said to be watching a game of Royal Tennis when arrested and that Henry was playing tennis when news was brought to him of her execution. 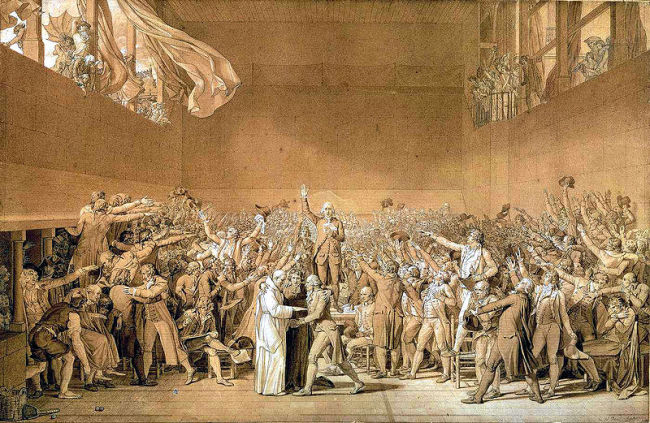 In France, at the peak of its popularity in the 16th century there were some 250 courts in Paris. Recent excavations at the Palace of Versailles have uncovered the Royal Tennis court used by Louis XIII. 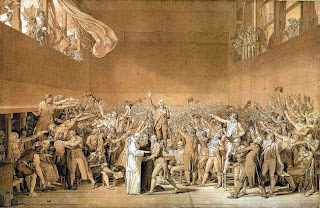 Royal Tennis has a place in the French Revolution when the pledge signed by the French deputies, and said to be a decisive step in starting the revolution, was taken on a Royal Tennis court and is now remembered as “the Tennis Court Oath”. A Royal Tennis court is a very substantial building, wider and longer than a lawn tennis court, with high walls on four sides and a lofty ceiling. There are galleries built into two sides with sloping roofs and it is from the galleries that spectators view the game behind the safety of netting to stop rogue tennis balls that are much harder than the tennis balls used in lawn tennis. 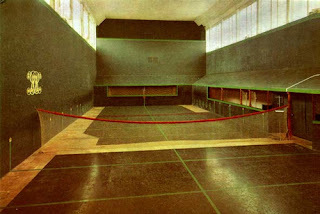 As the court is fully enclosed, Royal Tennis can be played year round, and in SALT BRIDE this allows Salt and his male chums to exercise throughout the freezing winter months, and where from the safety and privacy behind the netting of the Gallery boxes the noblemen’s pampered sweethearts, wives and mistresses are able to appreciate the male physique in action perched on velvet cushions while being offered unlimited wine and nibbles by blank-faced liveried footmen. In such cold weather hot bricks would be placed under benches for warmth. It is while watching a game of Royal Tennis that the heroine of SALT BRIDE, Jane, the newly married Countess of Salt Hendon, overhears the ladies of Polite Society discussing her merchant origins, and who amongst their number will be her husband’s next mistress. These hurtful whisperings naturally spoil the game for Jane. The rules of Royal Tennis are, not surprisingly, complicated and would take up far too much ink to explain here. The best way to get an appreciation of the rules and the game is to watch a match, which I was privileged to do when I visited the Hobart Real Tennis Club in Hobart, Tasmania, Australia. The resident professional Barry Toates gave of his time and expertise, providing running commentary and explanation of a game in progress, which I watched with studious interest and excitement from the Dedans penthouse that looks straight up the court. ﻿﻿﻿ The Hobart Real Tennis Club is the oldest Real Tennis club in the southern hemisphere, established in 1875. The tennis court itself has lovely blue painted walls and polished cement flooring, whereas the Royal Tennis court in SALT BRIDE has a tiled floor, but in every other respect the Earl of Salt Hendon’s court would have been the same as the one in Hobart, or the one at Hampton Court Palace because all Real Tennis courts have been constructed to the same blueprint since medieval times. There are about 45 courts left in the world – Australia has the current world champion and he is from Tasmania - Robert Fahey. Be sure to leave a comment for your chance to win an e-copy of SALT BRIDE. 2 winners will be announced tomorrow. Do you write historical romance or historical fiction with romantic elements? Check out this writing contest, its a great opportunity to have your work read by readers, and the possible chance of an editor/agent reviewing it. Hearts Through History (an RWA special interest chapter) is pleased to host the 10th annual Romance Through The Ages Contest. We would be honored if you would join us, show us your inspiration and motivation while our judges provide honest, constructive feedback. We wish you the best of luck! Categories may be eliminated or combined with another category at the discretion of the RTTA Contest Committee if fewer than ten entries are received. All first round entries are now e-mail submissions only. The contest entry shall consist of ONE (1) copy of the opening of the manuscript (including any prologue) not to exceed 30 pages. The contest entry also shall include a 1-2 page unjudged synopsis. Unjudged synopsis may be single or double-spaced. Contestants are urged to take into consideration the most effective stopping point for their entry, even if that point is short of the 30-page limit. Manuscripts do not have to be complete to enter. All entry forms, fees, waivers and entries must be received by Category Coordinators no later than Feb. 1, 2011. Official signed Entry Form & Waiver, entry fees and cover page must be sent prior to submitting entry. Once these have been received, your Category Coordinator will contact you with requirements for submitting your entry. Only U.S. or Canadian currency (equivalent to U.S. payment) will be accepted. Entries must be novel-length Historical Romance or Romantic Historical Fiction (when the manuscript is/will be finished). Short stories, nonfiction, and fiction in genres other than historical romance will not be accepted. Contest Coordinators reserve the right to reject any entry that does not meet this requirement or that does not meet acceptable industry formatting standards. The official Entry Form & Waiver, entry fee and entry must have confirmed e-mail receipt by Coordinators for each submission. Participants may enter multiple entries, however, each entry may be entered in only one (1) category (for example a paranormal medieval can be entered in either the medieval category or the paranormal category, not both). Each submission will be treated as a separate entry. All fees and rules apply separately and individually to each entry. Each first-round entry will be evaluated by THREE (3) qualified judges. Judges may or may not write on manuscripts at their discretion, however all scores of less than 3 will be explained on the score sheet. Once score sheets are returned to Category Coordinators (for each entry), the lowest of the three scores will be dropped and the remaining two scores will be averaged to determine the entry's final score. There will be no discrepancy judging. The top three scoring entries in each category will advance to the Final Round. Four will advance in the event of a tied-score for third highest category score. Legend Finalists are picked from all entries, based on a special Legend score sheet (separate from overall score sheet). The highest Legend score in each category will advance to the Final Round. In the case of a tie for Legend in any category, the entry with the highest overall score will be the one to advance to the Legend Final Round. All first round judges are kept confidential unless a judge elects to disclose his/her name once the contest is completed. The Contest Chair and/or Category Coordinators will not discuss the names of judges. Finalists will be notified and their scored entries will be returned first. All non-finalist scored entries will be returned within the 30-day period after finalists entries are sent (for 2011, between March 15 and March 22). Finalists will be notified on approximately March 16-18, 2011. All finalists will have an allotted amount of time (approximately 2 to 3 weeks) to review the first round judges' comments and make desired changes to his/her manuscript. A revised copy must be received by the Contest Chair no later than April 20, 2011, for submission to the Final Round. If the revised copy is not received by that time, at the discretion of the Contest Chair, the previously entered copy will be sent to the final round judge. Category Placement, Legend winner and Best of the Best winner will be determined by the scores of Final Round Judges. All decisions of the Final Judges are final. For Best of the Best Award, the winning entry will be chosen from among each category's first-place winners. In the event of a tie, the winner will be determined by the higher overall score from the first-round judging. **The list of final judges will be updated as judges are confirmed, and may change at any time. Hearts Through History assumes no liability for such changes. The Best of the Best Award is now a $100.00 cash prize. The Legend, A Man for all Reasons Award is now a $50.00 cash prize. Each First Place Historical Category Winner will receive a gift certificate good for one HHRW Campus Workshop of winner's choice. Contest finalists will be notified by the Contest Chair via email or telephone on or about March 15, 2011. Non-finalists will receive notification within 30 days after all finalists entries have been sent (for 2011, by April 15). All winners will be announced at Hearts Through History's annual meeting at the RWA National conference, New York, NY in June 2011. Should any finalist not be in attendance, he or she will be notified of status by email or telephone shortly after. Final round scores/sheets will be sent to finalists within 30 days after the winners are announced. Yesterday (yes, I read it in one day with all the kiddies running around, dishes piled high, and laundry piled even higher... 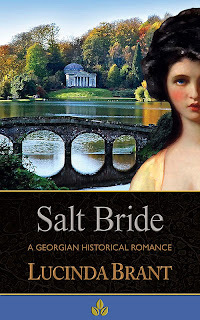 I couldn't stop), I read Lucinda Brant's historical romance e-novel, Salt Bride, set in the Georgian period (just prior to the Regency era)--a time period I love! 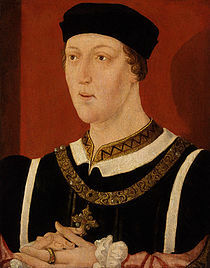 When the Earl of Salt Hendon marries squire’s daughter Jane Despard, Society is aghast, convinced the Earl has lost his head over a beautiful face. But Jane and Lord Salt share a brief secret past, one that caused mistrust, heartache and misery. Four years on, they are forced into a marriage neither wants; the Earl to honor a dying man’s wish; Jane to save her stepbrother from financial ruin. Beautiful inside and out, the patient and ever optimistic Jane believes love conquers all; the Earl will take some convincing. Enter the Earl’s cousin, Diana St. John. Diana has been living in a fool’s paradise believing she would be the next Countess of Salt Hendon. She will go to extreme lengths to hold the Earl’s attention, even risking her young son’s life. Removing Jane by any means possible, even murder, is a means to an end for the obsessive Diana. Can the newlyweds overcome past prejudices and sinister family opposition to fall in love all over again? True talent is when an author creates an in-depth backstory of intricately woven together complicated characters and events and yet the reader starts on page one, right in the middle of the action--and is none the wiser to the author's machinations, only having eyes for what is happening on each and every page, eagerly turning to the next. And boy did Ms. Brant toy with the reader's head! With Salt Bride, the intensity is high, and you're dealt with characters who are vivid, real and have some serious issues. I am amazed at her talent for creating such complicated characters--and there are many in this book. Each character was thoroughly fleshed out, which is quite difficult to do and not lose your reader. 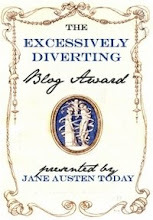 Instead, the author illicited strong feelings from me on all the characters--especially Diana St. John, who I LOATHE, Magnus--Earl of Salt, who I fell in love with and sweet, forgiving, intelligent Jane Despard the heroine, who's endless witticisms and stoic countenance had me cheering her on. Antony--Diana's brother and Tom's brother, were heroes in their own ways as well when they--well I can't give it away! Ms. Brant is a genius for dialogue! I was gasping and laughing nearly the entire time. The sensuality is poignant but not gratuitous, and truly adds a measure of romance to the story. I wanted so badly for Magnus and Jane to rediscover their love for one another--and admit to it, and I was not disappointed. The prologue was intense and ensnared me at once. I do admit to the first couple pages of Chapter One being slighlty confusing with all the characters tossed in at once, but as soon as I fleshed them out--literally only a few pages--I was once again hooked and eager to continue reading. The historical research for this novel is evident and well done. The setting expertly designed in the mind's eye, the characters clothing deliciously described, and the use of real time entertainments such as fireworks, tennis, society, etc... were expertly executed. I highly recommend this book! I was entertained to the fullest while reading, and can honestly say I haven't read a book that hooked me like this one did in quite some time. I am extremely eager to read the next book of hers on my list, a Georgian mystery novel, Deadly Engagements, as well as the rest of her works. Be sure to check back here this Friday, January 28th, for Ms. Brant's article on Real Tennis, which is prominently featured in her book. 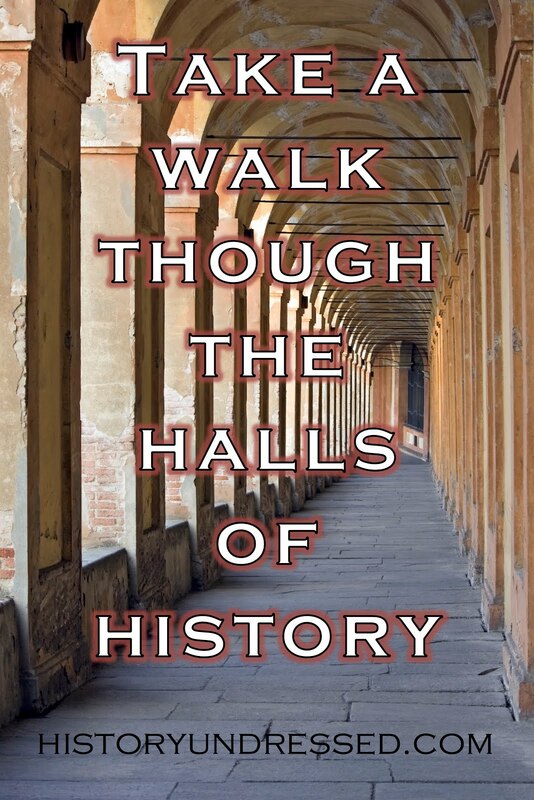 I'd like to welcome guest author, Victoria Gray back to History Undressed! She's fascinated us in the past with articles on Santa, History Gone Hollywood and Clothes Make the Man. Today I'm pleased to have her article on Civil War-era spies! Fascinating! What comes to your mind when you hear the word spies? James Bond, gadgets, an eccentric Civil War-era spinster known as Crazy Bet. Yes, that’s right…a spinster known as Crazy Bet - Elizabeth Van Lew, a Richmond spinster known as Crazy Bet, used her eccentric behavior as a cover for her ingenious schemes, disarming the people she’s deceiving without ever using a weapon. The daughter of a prominent Richmond businessman, the devoted abolitionist spent her inheritance buying and freeing slaves before the war. 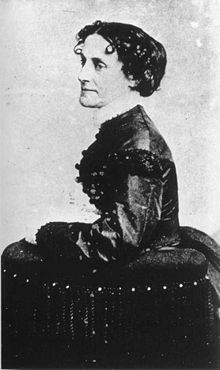 During the war, she spied for the Union, supplying information to Union generals; during her frequent visits to the Confederate prison in Richmond, Crazy Bet brought food and books for the imprisoned Federal soldiers and much desired treats for the guards while she gleaned information she could funnel to Union officers. Using her reputation as an eccentric to her best advantage, she adopted the touched persona of “Crazy Bet” to further avoid suspicion of her activities. Crazy Bet hid in plain sight – the vocal abolitionist made no effort to hide her Union sympathies. Widely disliked for her views, she even became the subject of newspaper editorials condemning her humanitarian efforts, for they were aimed at Union prisoners rather than Confederate soldiers. She and her mother, who joined with Elizabeth in her efforts, were held in disdain by their Richmond neighbors. Ironically, this served as a shield for her espionage. She was so open about her views that she was viewed as silly and hysterical, rather than the secretive, deceptive persona which one would expect a spy to adopt. As time passed, she played up the eccentricities. 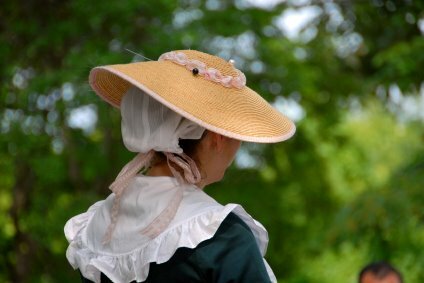 She’d leave her hair in disarray, dress in her shabbiest clothes and bonnets, and mutter to herself while she walked through Richmond. Crazy Bet used her image as a harmless, touched spinster as the perfect disguise for her activities. Elizabeth Van Lew’s methods were ingenious and varied. A middle-aged spinster, she pried men with food rather than feminine wiles. She even charmed her way past the Confederate prison commander, Lieutenant David Todd, by learning of his fondness for buttermilk and gingerbread and bringing these to him in the prison. Lieutenant Todd, who was Mary Todd Lincoln’s half-brother, allowed Elizabeth to bring food, clothes and medicine to the prisoners. Often, this small gifts contained messages hidden in false bottoms and through clever codes. Her methods for funneling information to Union generals were equally clever. She even hollowed out eggs and used them to hide intelligence, which were then ferried to union officers by her household servants. General Grant considered her one of his most valuable sources of information. After the fall of Richmond, one of General Grant’s first visits was to the Van Lew home. Elizabeth Van Lew’s story inspired the character of canny spymaster, “Crazy Betsy” Kincaid, in Angel in My Arms, the story of Amanda Emerson, a beautiful Union spy and Captain Steve Dunham, the Union officer she recruits for a suicide mission. Steve Dunham’s facing a noose when sable-haired beauty Amanda Emerson and her crazy matron “aunt” engineer his escape from jail. There's a catch - Amanda needs him to break into Libby Prison to rescue a notorious double agent who may or may not be on the side of the Union. He’s trading one noose for another, but Steve can’t resist her. He’ll possess her love – if he lives long enough. The rugged soldier she recruits for her plan looks more like a Viking warrior than a disciplined officer, but Amanda’s drawn to Steve’s courage and tenderness. As the danger surrounding them thickens, every moment he’s with her jeopardizes their lives, but they discover a passionate love that’s worth the risk. Steve Dunham, the hero of Angel in My Arms, was introduced in an earlier novel, Destiny. When I wrote Destiny, I knew I’d have to give Steve his own love story. Throw in a gang of gun-runners who specialize in stolen military weapons, a nest of beautiful spies, a heroic Confederate officer whose ties with Steve go back to their Army service in the western territories, and a villain with a thirst for revenge, and you've got a plot that isn't your mother's Civil War romance. 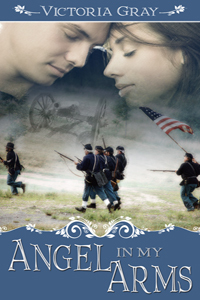 To learn more about Angel in My Arms and read an excerpt, please visit my website, www.victoriagrayromance.com and my blog, www.victoriagrayromance.blogspot.com . Angel in My Arms is now available in print and as an eBook from The Wild Rose Press, www.thewildrosepress.com . Leave a comment for your chance to win an e-copy of ANGEL IN MY ARMS! 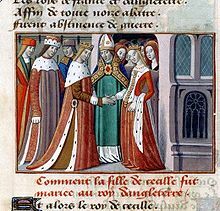 Last week I had guest author, Susan Higginbotham blogging about Margaret of Anjou, and her latest release, The Queen of Last Hopes, about the reign of this classic French noble woman turned English Queen. This week, I finished reading the book. To say it was fabulous is an understatement. Ms. Higginbotham did an excellent job on her research, and truly did the real-life characters a service in portraying their stories. I also must say that I liked the way she actually structured the story with shorter more active scenes. A lot of times with historical fiction you find that it drags, but with the way with which Ms. Higginbotham pens the story, it flows and is a quick read. A warning though, this story is not light-hearted. Margaret of Anjou and her husband King Henry had a rough time of it. The story is filled with treachery, drama, joy and heart-wrenching sadness. I so desparately wanted Margaret to win her plight. I held on with baited breath until the very end that she would succeed. And in a small way she did. At "the end" the characters stayed with me. Their story is one I won't forget, and what makes it all the more poignant, is that these were real people, with real conflicts, and The Queen of Last Hopes, put it out there for all to see and understand. 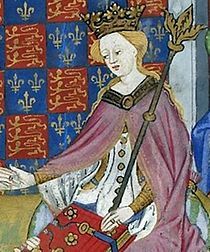 It should also be noted, that throughout history, Margaret of Anjou has been painted by some as a vicious woman, even some going so far as to call her a villain. I like that Ms. Higginbotham gives us another side of the story, Margaret's. She was married at a young age to a man who was mentally unsound, and only able herself to birth one child. People tried to yank the throne from her husband and her boy, what mother wouldn't go to any length to see that their child's birthright, their husband's birthright wasn't stolen? I am definitely a fan of Susan Higginbotham and her writing. I can't wait to check out her other works. Margaret of Anjou, queen of England, cannot give up on her husband—even when he slips into insanity. And as mother to the House of Lancaster's last hope, she cannot give up on her son—even when England turns against them. This gripping tale of a queen forced to stand strong in the face of overwhelming odds is at its heart a tender tale of love. Available in both e-format and Trade Paperback. First off, I must say kudos to Ms. Burrowes on a job well done! This is her debut novel, and from reading the book, I would have thought she had an extensive backlist. The history was expertly weaved in--titles, inheritance law, the setting, clothing, etc... 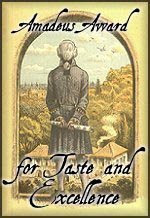 The book was researched well to bring out the Regency flavors that make reading this genre so much fun. The characters were well fleshed out, vivid and interesting. The plot was fascinating, mysterious and engaging. First and foremost, I like that we did not find out exactly who Mrs. Anna Seaton was until quite near the end. It kept you guessing, and trying to figure out who she was, what she was running from, what her relation was to various people, etc... And all the while, you wanted so desperately for Anna and Westhaven to get together--yet there really just seemed like no way it was going to happen, something always got in the way. I really liked the emotional connection with the characters in this book. I liked the chemistry. I liked the dynamics of the brothers, the mother and father, Morgan. I liked the interactions and the dialogue. There really wasn't anything I didn't enjoy about this book. In the end you could see the changes in the characters, and throughout the book you felt an empathy for their individual plights. A fast and enjoyable read, I will definitely look forward to reading more of Ms. Burrowes work in the future. Grace Burrowes is the award winning author of the "The Duke's Obsession," a Regency trilogy detailing the loves of the three sons of the meddling old Duke of Moreland. She lives in Maryland with dogs, cats, and horses, and absolutely loves to hear from her readers. I am pleased today to have author Beth Trissel with us. 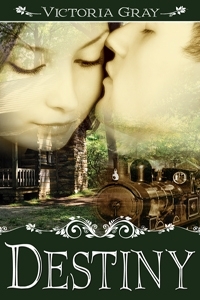 She writes captivating historical as well as paranormal romance. Her latest release is a Native American historical romance, Red Bird's Song, and she is talking about her inspiration behind the book. Welcome Beth! Red Bird’s Song is the story of my heart for many reasons. The initial encounter between Charity and Wicomechee at the river was inspired by a dream I had on New Year’s Eve–a highly propitious time for dreams–about a young warrior taking an equally young woman captive at a river and the unexpected attraction between them. That dream had such a profound impact on me that I took the leap from writing non-fiction essays (by hand back then) to historical romance novels and embarked on the most amazing journey of my life. That was years ago and the saga continues. 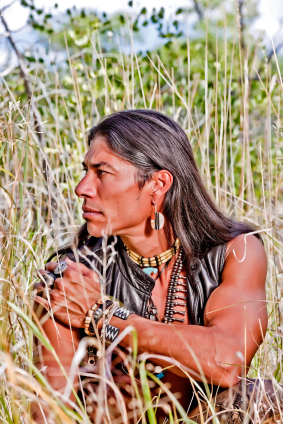 I also met the prophetic warrior, Eyes of the Wolf, in another vivid dream at the advent of this adventure, so when I describe him in the book I’m envisioning a character I feel I know. 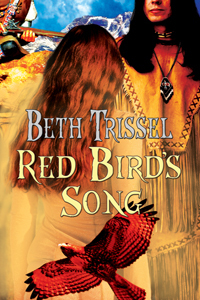 The setting for much of Red Bird’s Song is the same as my Native American historical romance novel Through the Fire, the spectacularly beautiful Alleghenies. Much of the history and events depicted in the story were inspired by accounts I came across while researching my early American English/Scots-Irish roots and the Border Wars. Most of you have heard of The French and Indian War, the time period in Through the Fire, but there were others. (Chief) Pontiac’s War followed on the heels of the French and Indian and is the time frame of Red Bird’s Song. Lord Dunmore’s War took place a decade later–all occurring in the colonial frontier. Actually, life in the frontier was continually unsettled up through and even after The American Revolution had drawn to a close and warfare a reality. The boundaries of the frontier just kept shifting farther west. Although Hawkeye in The Last of the Mohicans is an adopted Mohican, his lifestyle and behavior is that of a colonial frontiersman. The more rugged of these men dressed as he did, much in the Indian way. They hunted and fought with muskets, tomahawks, and their famous knives. Indians acquired these knives as well. They blended traditional weapons and ways of living with new found tools and weapons of Western man. A highly adaptable people. The attack at the opening of Red Bird’s Song in the Shenandoah Valley is based on one that occurred to my ancestors at the tail end of Pontiac’s War and is recorded by Historian Joseph A. Waddell in The Annals of Augusta County. A renegade Englishman by the last name of Dickson led the war party that attacked them. Initially I’d intended to make the Colin Dickson in Red Bird’s Song a villain but as soon as he galloped onto the scene I knew differently. He’s now one of my all time favorite characters. Wicomechee, the hero in Red Bird’s Song, is based on the Shawnee warrior by that name who lived early in the nineteenth century and to whom I have ties. The Moffett’s, an early Valley family I’m related to, include a reference to him in their genealogy. Wicomechee’s father, John Moffett, was captured in Kentucky by the Shawnee at the age of eight and adopted into the tribe. 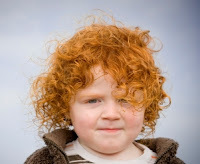 It’s said he was a boyhood companion to the great chief Tecumseh, a chief for whom I have enormous admiration. The accounts of John Moffett and Wicomechee are recorded by Waddell. It’s also noted that during the Black Hawk Wars, Wicomechee recovered the captive daughters of a Dr. Hull and brought them safely into camp, which reminds me of Hawkeye in The Last of the Mohicans. I’ve included more on this amazing warrior at the end of the novel as a bonus for those who read it. I’ve read accounts of braves getting up in the night to stir up the campfire and cover captive women and children with blankets, even delay their journey while a woman gave birth. These men protected and fed their captives while other warriors burnt them at the stake. It all depended on who took you captive and why as to what your fate would be, and whether they kept, traded, or sold you. Or killed you in retribution for a love one lost at the hands of the English. Of course, some braves didn’t take captives. Just scalps. The warriors most feared in the Shenandoah Valley were the Shawnee, regarded as the fiercest of all. The more I studied these remarkable people, the more engrossed I became, especially as they figure into our family roots. The sources I used in researching Red Bird’s Song would take up pages, my list of reading material sizable, and I’m indebted to the long suffering anthropologists and archeologists who answered my many questions and supplied me with research materials, also helpful reenactors, historians, and historical sites. Most of all, I’m indebted to my own forebears. Without these hardy souls, their faith in God and determination to forge a life in the New World, I wouldn’t be here. Neither would many of you.